Search Engine Optimization Memphis: Keyword Authority and Anchor Text Beats Page Rank! Keyword Authority and Anchor Text Beats Page Rank! Most webmasters and bloggers have niche websites and blogs built around certain keywords that are the most relevant to the subject of their blogs and websites for one reason: We want targeted visitors to come to our sites, read our content and in most cases we hope they purchase something we have for sale. People place terms in the search engine query box looking for what they need or information on what they need or want. Once they push the search button a list of organic search items are displayed on their screen, hopefully giving them a list of items relevant to what they are searching for. This is what webmasters and bloggers live for, organic search! We all want our site to be the first result that shows up in the first position of Google. This position for us equates to dollars! Getting the first place listing in Google and the other search engines start with keywords and priority must be placed on getting your keywords to show up in the organic search results, or SERPs(search engine results page). Sure you can have your keyword placed on your website over and over or in your meta tags to try and "game" Google's crawlers, but this will do nothing but get you penalized for keyword stuffing as well as get you sent to the Google Sand Box quickly(Yes Virgina, it does exist!). One thing we can do that will return results in spades is using anchor text in conjunction with the all important back links. "Hello my name is Bozo The Clown and I'm learning about search engine optimization from a this fella over in Memphis, Tennessse. 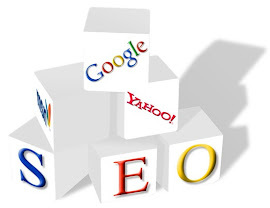 Why don't you visit his blog at Search Engine Optimization Memphis if you want to get yourself clued in about SEO." By doing this I have not only created a back link to my blog, but I have also helped my blog gain keyword authority for the keywords "Search Engine Optimization Memphis". As of this writing I am not currently ranked for these keywords and it will be only a matter of time before I will be in the number one position for these keywords on Google. Using anchor text when linking back to your site from other sites shows Google that you are an authority in your niche. Not only does anchor text help to gain keyword authority, but it also can help you out rank high page rank sites and move above them to higher positions in the SERPs. I would choose keyword authority over page rank simply because I have seen many websites and blogs have a higher position on Google than websites or blogs with higher page rank. Page rank is a number between 1 and 10 that Google assigns to websites to show how important Google believes these sites to be compared to other websites or blogs. Linking to a high page rank sites does pass on greater link juice than linking to lower page rank sites, but in the end I would rather have the greater keyword authority to push my website above all others into the number one position on Google. Anchor text is the best way to acquire keyword authority and fortunately anchor text can only be used in links helping you kill two birds with one stone...getting back links and building keyword authority!! Bookmark Search Engine Optimization Memphis For Future SEO Updates.